Yeh I have the six Quintettes by the Fine Arts no K563, will have to Google. On Lyrinx SACD? I have that too. That's the one, feel a bit robbed now, but is is a nice set. Just a follow on to my last post. I know this is a classical thread, but I followed the above Vanguards with the Joan Baez Live recordings from the same company they are superb. Over half a century after the creation of the prized Everest Records catalog, most of whose 78 classical titles were recorded between 1958 and 1961 on 35mm magnet tape in three-channel stereo, 61 titles have now been remastered and released in multiple formats. In addition to physical CD and downloadable Mastered for iTunes versions, a still-expanding, luscious hi-res treasure trove of Everest titles may be downloaded from HDTracks's Everest Records pages. All HDTracks titles, remastered from the master tapes in 24/192, are available in both 24/192 and 24/96 versions. . .
Back when I bought it, there was precious little chamber music available on SACD. In fact, there was precious little Mozart available. The Auvergne songs are 'folk' so there was a vague link. Was playing Villa-Lobos yesterday a terrific record on Nonesuch his Quintette with BB no6, with Glazounov and Ibert pieces. Great music and info for a very reasonable price. 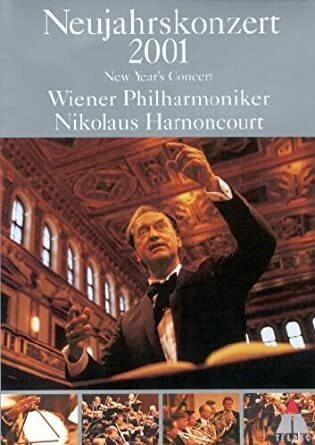 Yeah, but you got to admit that Harnoncourt turned out a pretty great at Beethoven and Bruckner. Robin L and jukes like this. In some way, he far surpassed Karajan since the latter would never go near the likes of Monteverdi and Purcell. The modifier for the descriptor is unnecessary and the adjective is too weak—the Krips/LSO Beethoven cycle is pretty awful, good engineering or no. I'm not a big baroque or early music fan, but Karajan seemed a bit heavy handed for both types from the admittedly small amount of works that I've heard. Karajan absolutely, 100%, did not 'get' Baroque music. I was trying to be kind to the set that was my first exposure to most of the syms. as a high school kid and a signpost in my voyage into classical music. I expect we're in "agree to disagree" territory here, but as I've noted before I think it is just barely good enough to serve in such an introductory role--at the $10 price tag Walmart was charging for that surprisingly decent tin box edition a while back. There is no way in aitch-eee-double-ell it justifies the kind of prices that inevitably will attend some high-falutin' "hi-rez" treatment, although I guess the recording quality is good enough that it might satisfy those who are in recordings foremost for the sound. That said, it would be interesting to know if the current remastering manages to fix the pronounced drop in recording quality of the last mvt. of the 9th--although I suspect much of that has to do with a recorded perspective more distant than anywhere else in the set. Actually, the more exciting news in that article, at least to me, was that an effort is underway to reissue the Vox catalogue. If that includes the mono material, where the real riches from that house are hidden, we might finally get the proper reissues of Friedrich Wuhrer for which I've been wishing all these years. Now, if only somebody would pick up where Verese Sarabande left off and do the same for the old Remington catalogue! Dare we hope? As I understand things, the stumbling block there was tape degradation very like that described anent the Everest masters, although Remington, as far as I know, never resorted to the 35mm sprocketed format. There are some real treasures hidden there, too, including late recordings by Albert Spalding and Ernst von Dohnanyi, and unlike Vox and Everest, which issued some reasonably decent pressings at least early on, Remington's, even at their best, were inferior even by late '40s/early '50s standards. Impressive - you regularly tune in to Radio 3 but your taste for popular classical compilations could be blunting your edge.